Style (formerly known as The Style Network, or TSN) was a digital satellite channel on the DStv platform targeted at young fashionistas, with original series that showcase the latest trends. It was E! 's sister fashion channel that covered both celebrity and reality gossip and trends, with shows including Style Star and Fashion Police. "Watch It. Love It. Style It." Style positioned itself as "the destination for women 18-49 with a passion for the best in relatable, inspiring and transformational lifestyle programming". It began as The Style Network on DStv on 5 November, 2007, when the paycaster introduced five new channels along with a channel number reshuffle. Seen as a sister channel to E! Entertainment it carried similar programming, primarily docu-series, lifestyle shows, fashion tips and countdown shows. 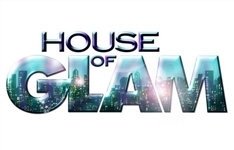 Style's popular series included Tia & Tamera, Jerseylicious, Giuliana & Bill, Glam Fairy and Big Rich Texas. 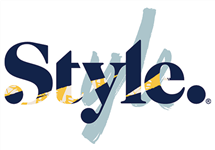 Style was a network of NBCUniversal Entertainment & Digital Networks and Integrated Media, a division of NBCUniversal, one of the world's leading media and entertainment companies in the development, production, and marketing of entertainment, news, and information to a global audience. In 2015, NBCUniversal decided to convert Style to the Esquire network in the USA. Universal Networks International (UNI), who offered this channel outside of the US, had been evaluating options for the channel on a territory-by-territory basis in markets where Style operated. In Africa, the outcome of that evaluation was that Universal Networks International would withdraw Style from Africa from Sunday, 1 February 2015 and focus their strategic efforts on their other channel brands - E! Entertainment Television, Universal Channel, Telemundo and Studio Universal. Summary: Docu-reality series following the B. Lynn Group, a group of fashion stylists, makeup artists, hairstylists and image consultants. 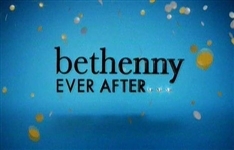 Summary: Bethenny Ever After (titled Bethenny Getting Married? for the first season) is an American docu-reality television series which focuses on the life of Bethenny Frankel, a former original cast member of The Real Housewives of New York City, as she gets married, has a baby and juggles her career with both. It lost it's style ages ago and now Style Network's been canned. Africa won't be getting its replacement. Annual award fever starts this weekend with the Emmy's. A rundown of the live and delayed broadcast times, Red Carpet news and a recap of the nominees. 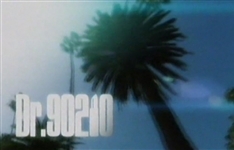 The sixth season of Dr. 90210 begins a run on Style tonight (3 August) at 21h00. Info. includes new episode line-up of Style Her Famous.